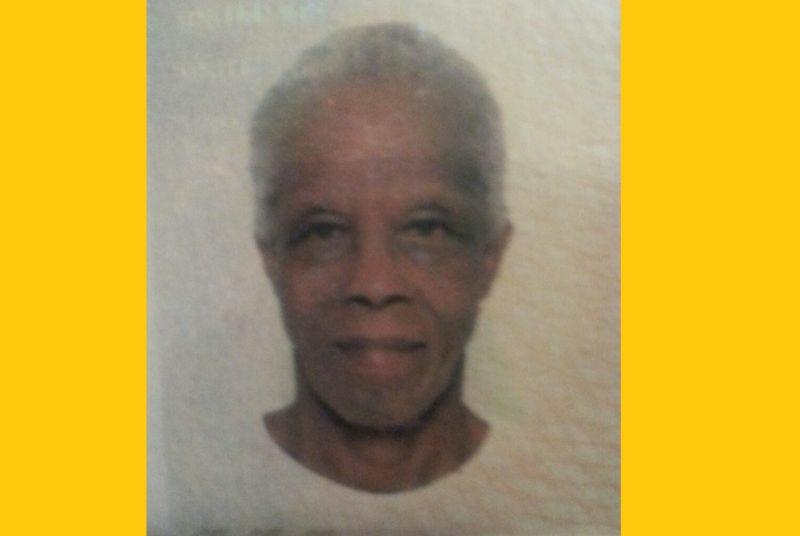 CARROT BAY, Tortola, VI – After staging a massive search that went late into the night looking for missing elderly woman Mrs Doris Dawson-Hedrington without results, residents of Carrot Bay and other concerned persons were brought relief and joy this morning when the woman was found. Dawson-Hedrington, 86, went missing from her Carrot Bay home yesterday, September 19, 2016. According to her son, Mr Lincoln Hedrington,‎ his mother was found in a farm land, “in a ghut area” deep in Carrot Bay sometime before 7: 00 A.M. "Thank God I found her and she is not hurt, she is in good shape," the relieved man told this news site moments ago. The search for the woman saw a display of compassion as the Carrot Bay and nearby communities netted themselves as a family yesterday afternoon with some 50 persons, including First District Representative Honourable Andrew A. Fahie, and according to Brian Smith in his Facebook post, there were persons, "young, not so young and the elderly." The search was called off at approximately 11 P.M. last night and before 'bird wife' was up this morning, the 'family' of the First District was back on the search which yielded victory- Mrs Doris being found alive and well. "At this time I want to thank everyone for their show of love and turned out to help me search for my mother. Thanks to everyone." Dawson-Hedrington is currently at Peebles Hospital receiving medical attention. “The community searched and prayed plenty and to God be the glory this morning early the community found her. 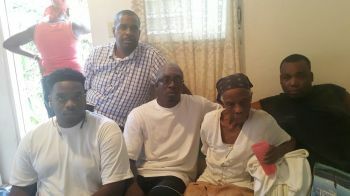 Her children expressed their thanks to God and the community for their prayers, assistance and words of encouragement. This proves that prayers from Godly people still are answered. I too congratulate the community especially the Carrot Bay Community for coming together to strengthen each other in the time of need,” commented Hon Fahie. According to the First District Representative, the community effort made him more proud to be a member of the First District community, the Carrot Bay Community and as a Virgin Islander. “Even so I am proud to be part of a people of great faith in God. We are truly still our brothers’ keeper. I urge each other in these Virgin Islands to exhaust all efforts in rebuilding our Virgin Islands where we continue to strengthen the bonds of unity that our forefathers built these Virgin Islands on. Thank God she is found," Hon Fahie stated. A community that sure cares. Thanks much thanks. To me Carrot Bay is one of the last remaining close knit "a neighborhood raising a child" type of neighborhoods left on the island. Every one looks out for everyone and has each other's genuine care at heart. I always feel the love from CB folks when im in the area! Great Job guys! That's how "One VI" works like. Thank "The Creator" of ALL. This is great news!! Happy she is found alive and hope she is all good and well!! Ayo don't allow too many outsiders to dwell among ayo because that will surely change the culture. Where were you last night when we were searching for Ms Doris? The same people who you are considering as 'outsiders' were also assisting with the search! Our culture will always go from good to great and will remain, no matter who comes or who goes. The Carrot Bay community includes people who are not from Tortolian. Everybody was involved ion the search. That's how Carrot Bay people live. One God, One family. One love. I was there and there were many outsiders there climbing the hillside late at night with the "Carrot Bay" people just like myself. Where were Archie and Shaina??? One was in the brotherhood and the other was by newlife. Power + is just a few weeks away. They are getting geared up. Who they want was there. How idiotic do you sound? Shut you ...... mouth. The family call who they wanted there. I was there and I know and the son also said that he called him. They were exactly where they were supposed to be. Shaina is not a district representative and if someone had decide to call her, they would have had to call Preston too! They always go back to a place that they remember going to from childhood. Leaders Lead you can't show up only around election time to help people those days are done ,Thank you Fahie for your support all the time ,Team Unity in the First..
That's why Andrew will continue to keep the district locked. People don't really care how much you claim to know. They want to know how much you care. Keep politics out of it! The community rallied around each other especially when the call was sounded for help! That's what we do; that's how we live. Nothing else need to be said. We don't blow a horn to tell others "I was there." Our compassion speaks for itself. Love Unlimited! No need for politic. There was sure more than enough persons "the Young, not so young and the elderly" To God be the Glory! I agree there is no need for politics but it is heart warming that the elected official of the District was involved and showed that he cared because we soon going to put out a search party for our rep in the 9th District. We are a close nit community down here in Carrot Bay. When Ms. Doris was missing, everyone was concern. So thankful she was found safely. but everyone in the spirit of unity got together for one commun purpose. Thank the Lord that she was found. Pad your backs each and everyone that made it possible. Wonderful, wonderful.